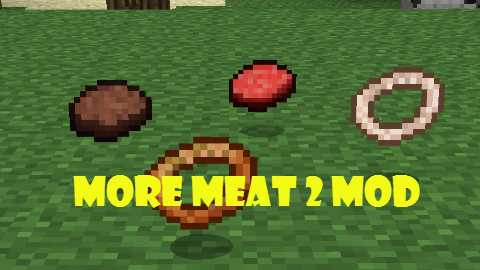 This mod adds a huge variety of new meat items and alters most of the animals in the game to allow them to drop these items. It also adds the very useful Meat Machine. You simply place this block in the ground and wait. Whenever an animal wonders by it will be captured and quickly slaughtered. In a very humane manner of course. The meat is then cooked and stored inside the Meat Machine until you come back to collect it. The Meat Machine is highly effective and almost always recovers the maximum amount of meat possible from an animal, it is even capable of collecting wool, leather and other items from the animals it captures. I would recommend that you dont feed your wolves on Wolf Meat, or Mystery Meat, who knows what could happen! Improved meat machine loot for various mobs. Meat machine will reclaim blocks from endermen. Updates for changes in Minecraft. 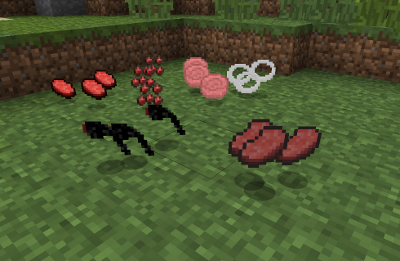 Added food items: Ender Meat, Ocelot Meat, Zombie Pie and Creeper Goo. Replaced creative mode spawn eggs to use new entities. Improved various loot drops for Meat Machine, plus rare loot. 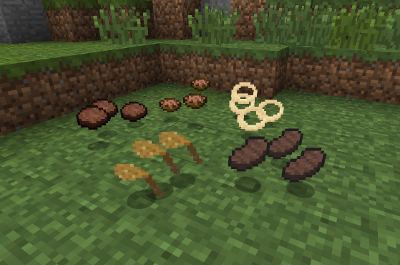 Merged Blocks/Items from BetterWheat mod. Meat Machines can be disabled with redstone. Rewritten mob meat drop system for compatibility with various other mods. Used to make Straw Bales. Can be used to store cooked meats. Occasionally found in Meat Machines. Some belive it comes from humans. Dropped by Endermen. Eating may cause you to teleport randomly. Obtained by cooking Raw Squid, better than raw. Obtained by cooking Raw Spider Leg, better than raw. Obtained by cooking Raw Wolf Meat, better than raw. Obtained by combining several Raw Mutton into a bowl, better than raw. Obtained by cooking Raw Lamb. These great tasting burgers reduce hunger by a large amount. Obtained by cooking Raw Ender Meat, better than raw but reduced chance of teleporting. Obtained by cooking Raw Ocelot, better than raw. Obtained by combining several Rotten Flesh with Wheat and Sugar. Dropped by Creepers. Eating this causes you to spit fireballs. Warning: Side effects have been reported with repeated consumption! Easily crafted from Flour, only reduces hunger a bit. Can be created from almost any kind of meat. Reduces the amount you need to carry and reduces hunger significantly when eaten. Used to feed your dogs. Cannot be eaten by humans. Used to feed your pet cats. Cannot be eaten by humans. Self contained animal capturing, slaughtering and butchering device. It is highly recommended that you DO NOT stand on it! A simple block that can be used for building. 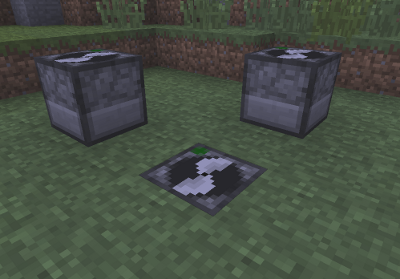 Note: This was changed for Minecraft 1.4.4 as it previously matched the cauldron recipe. 4. Copy the zip file into your .minecraft/mods/ folder.